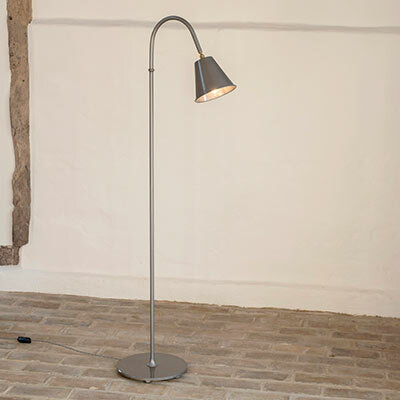 The Ashwell is sister to our Camberwell Floor lamp and has been designed as a contemporary alternative to our more traditional looking Brompton and Nayland Reading Lamps. 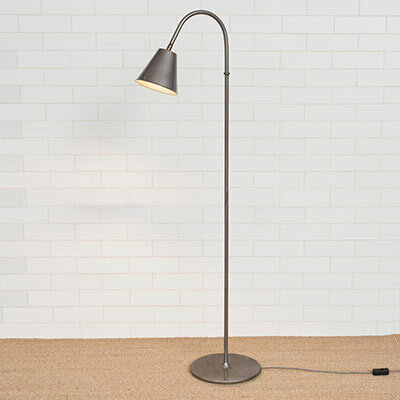 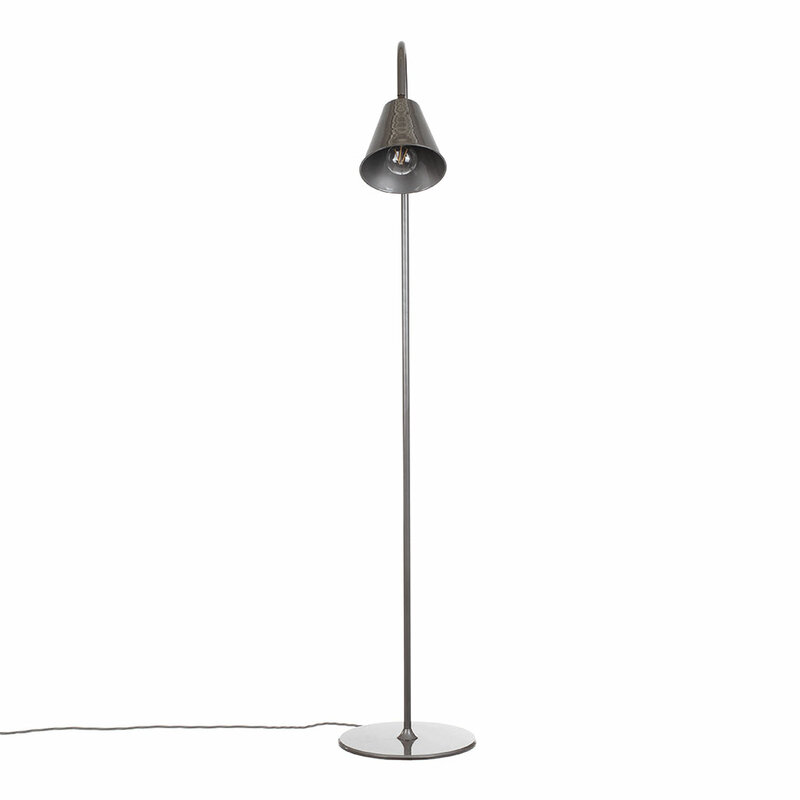 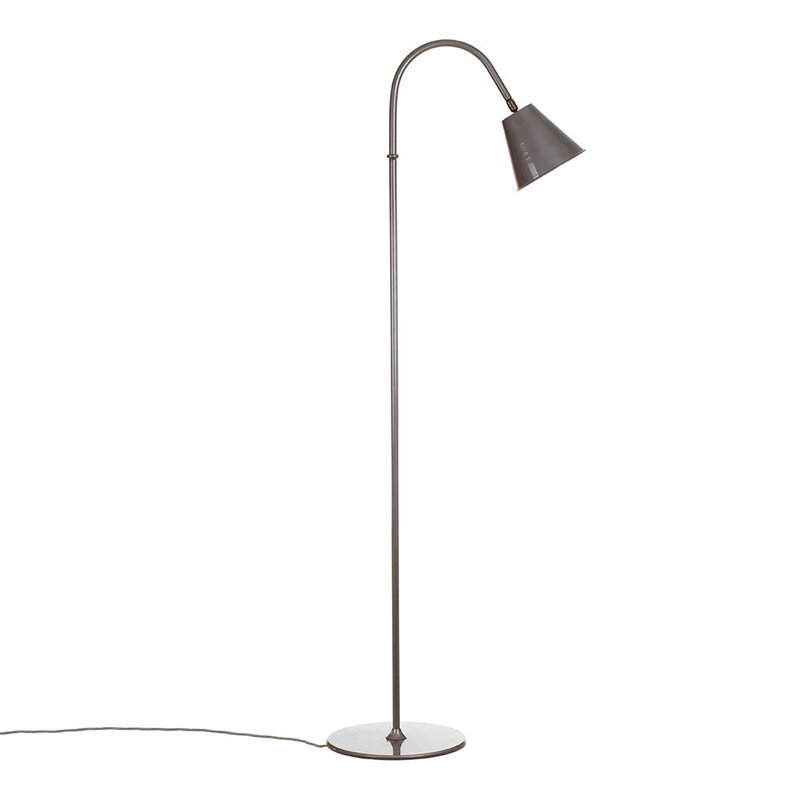 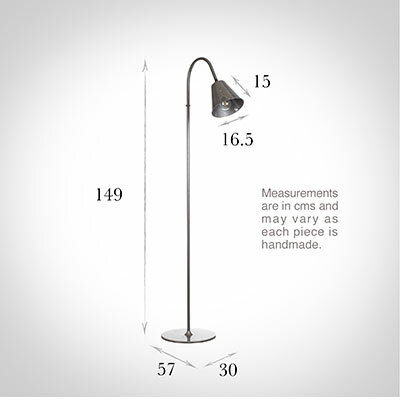 With its sturdy base, metal shade and clean silhouette, it is a compact floor lamp that would look lovely parked next to your favourite armchair or sofa or used to light up a dark corner of your living room. Hand forged from high grade steel and finished in our smart, hardwearing Matt Black, the Ashwell has a fully adjustable shade with a ball joint that enables it to be angled wherever you want. 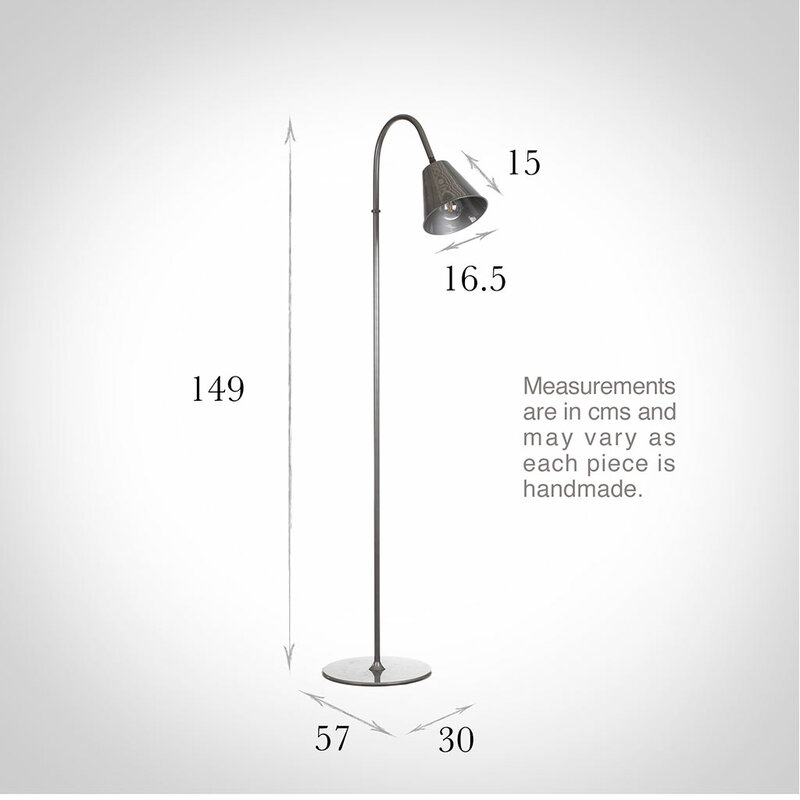 Fitting options: Can be supplied with an E14 (Small Edison Screw) fitting for European use on request. Polished Lacquer: This finish really showcases the stunning natural patina of the metal and is a great choice for a contemporary home or to update a traditional one. 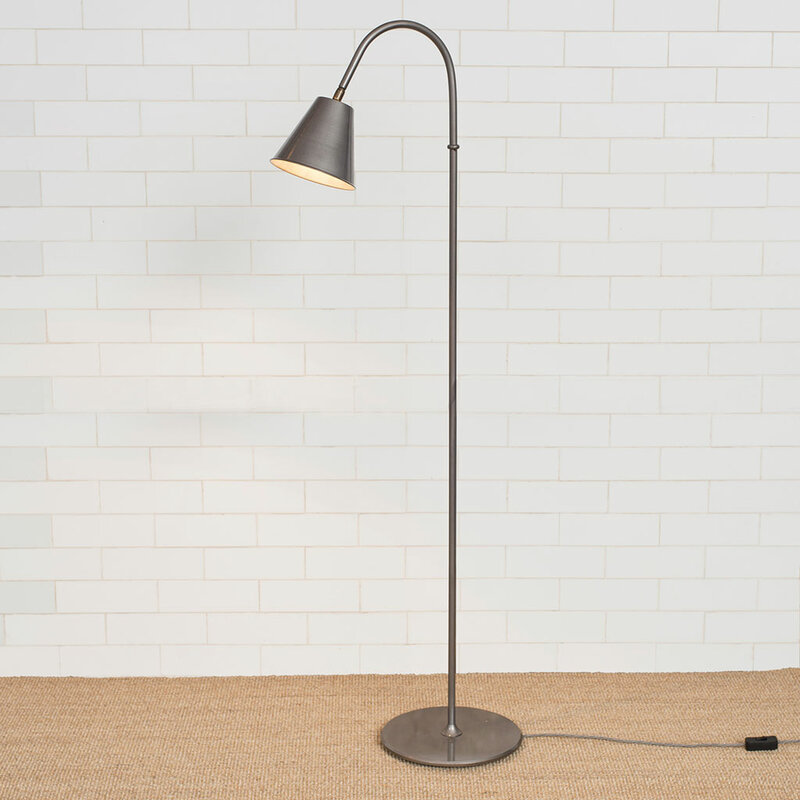 To produce the gunmetal grey colour, we polish the metal then seal it with a high gloss clear lacquer to create a finish with great durability. 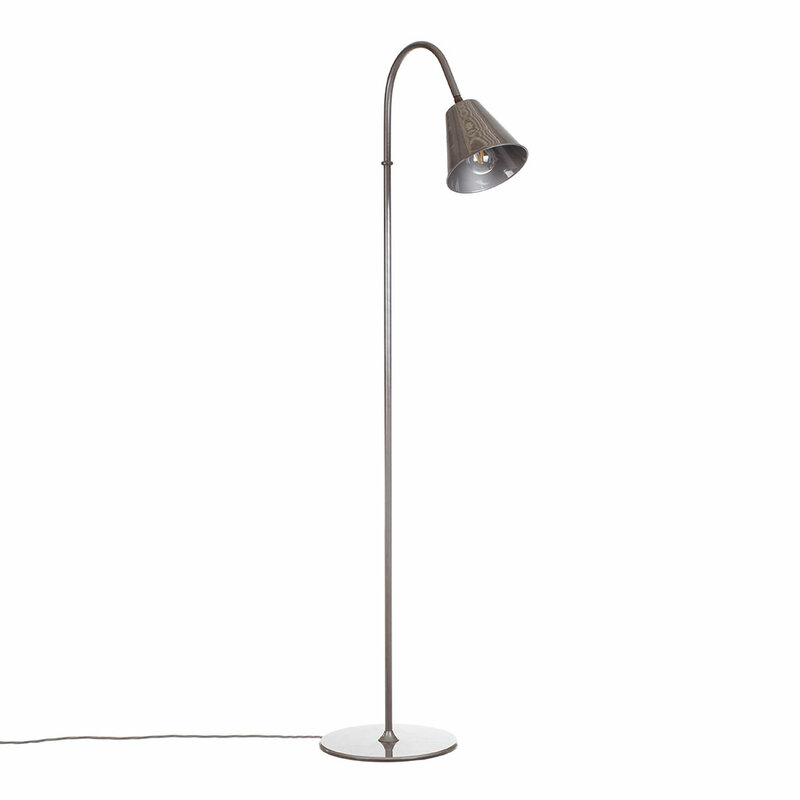 The texture and patina of the iron itself gives the product character which looks wonderful with a grey or natural colour way and works particularly with other metallic finishes such as nickel. 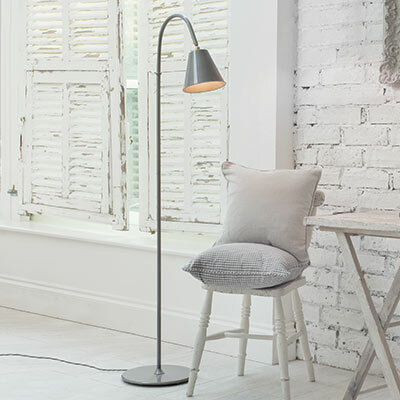 To discover more about our finishes and how best to maintain them, please read our product finish pages. 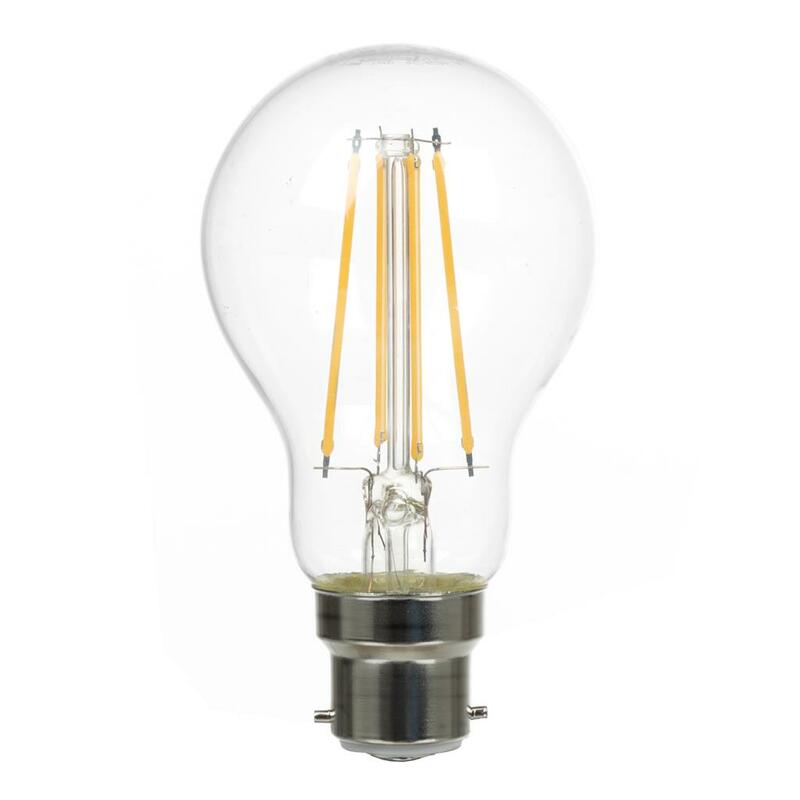 We recommend BC LED Classic GLS bulb as the perfect accompaniment to your light.